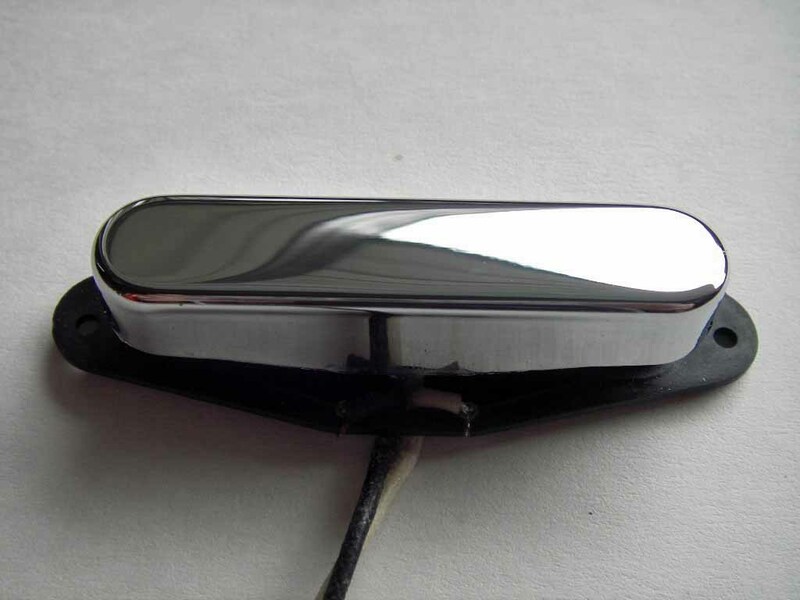 A Telecaster Bridge humbucker. Big twangy tone without the hum. Lows are strong but not too bassy. Highs are clear and "single coilish". 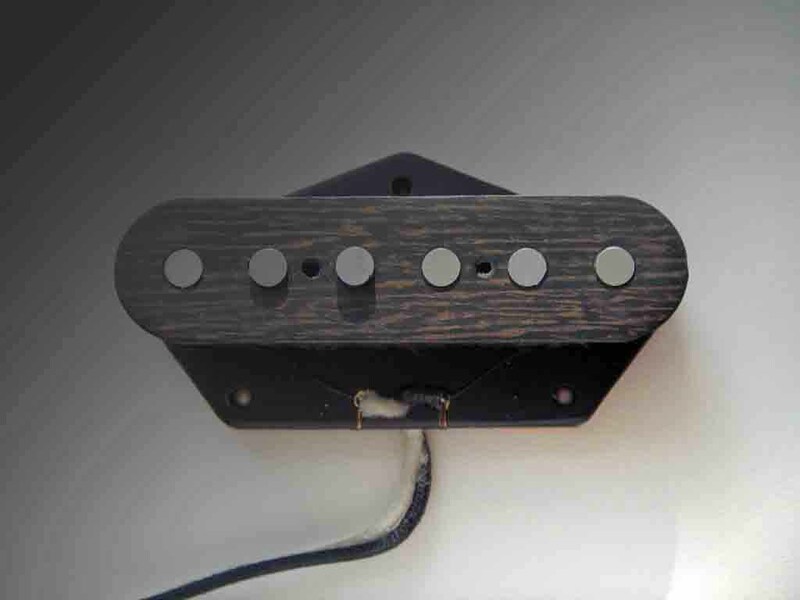 The pickup is available with or without a copper clad steel base plate. The steel plate gives the true twang creating more traditional Tele tone. The sound is little bit softer without the steel plate. 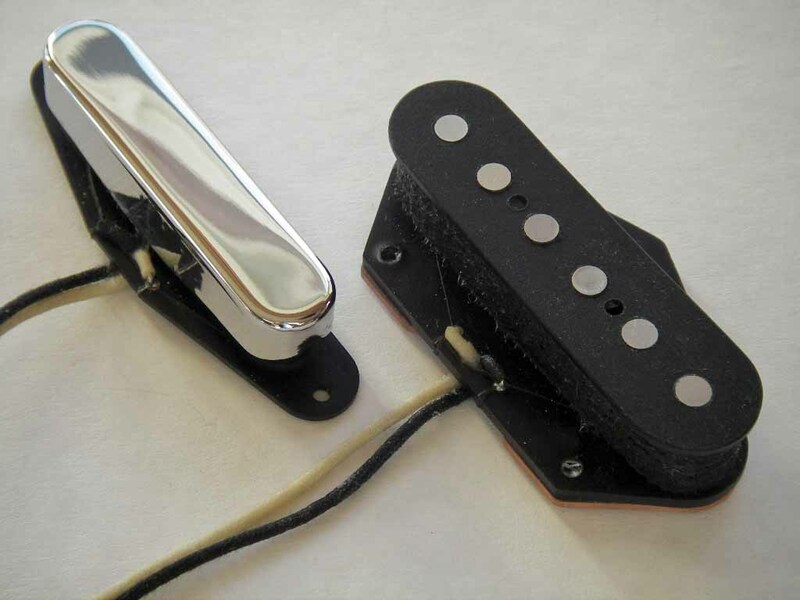 The pickup uses degaussed Alnico5 rods. Alnico2 optional. 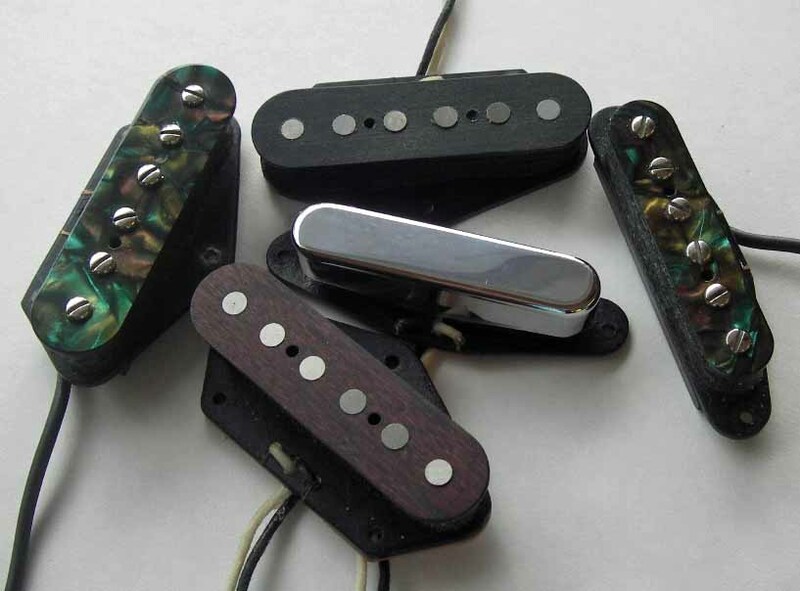 Alnico5 gives more lows and brighter highs. Alnico2 has softer attack and more mids. Magnet wire thickness is 0.045 mm. Quite hard to wind by hand, that's why the pickup is wound scattered by the computer controlled winding machine. An additional ground wire is needed, if the pickup without steel base plate is used. ​Two or four conductor shielded wire available. #6 - 32 x 3/4" mounting screws includes.